Cast Iron Big Sky Fire Ring. 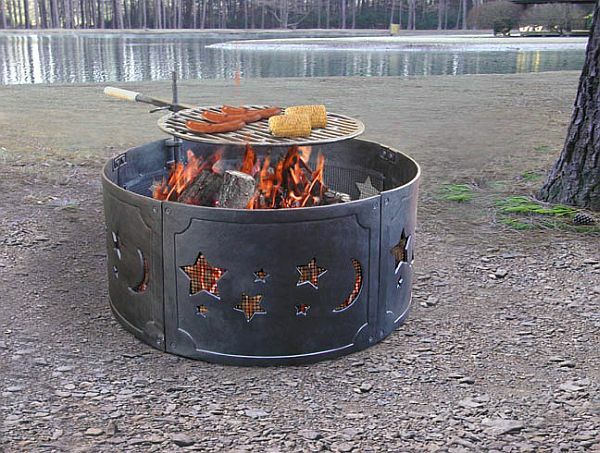 The extraordinary Stars and Moons cutouts create an incredible show of dancing light when burning a fire in this sturdy portable Fire Ring. 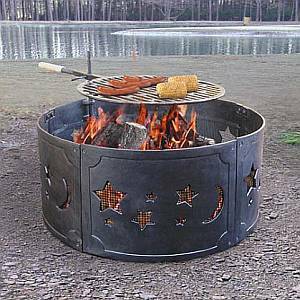 Sturdy 4 mm cast iron construction, this fire ring is ideal for keeping campfires contained. Full-size enamel cooking grate included with swing arm and wood handle. 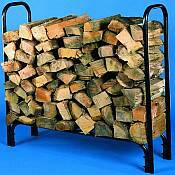 Fire ring breaks down into 5 panels for easier storage. Large 28" diameter size x 12"H. Available in Black finish only.